If you’re drinking with The Dude from The Big Lebowski, he’ll have nothing but a White Russian. He drinks glass after glass of what can best be described as chocolate milk for adults — a recipe that hinges on its use of Kahlua coffee liqueur. Thanks in large part to the popularity of the 1998 film, it’s nearly impossible not to think of a White Russian when thinking of Kahlua. That said, if, like The Dude, you only consume the spirit with vodka and cream, you’re really missing out. In fact, the liqueur’s rich combo of flavor, history, and diversity make it a worthwhile addition to any home bar. Here’s everything you need to know about Kahlua, from its humble beginnings and inception of beloved recipes, all the way to how to make it on your own. Born and bred in Mexico, Kahlua came about thanks to a partnership between businessman Señor Blanco and the Alvarez brothers coffee producers. Blanco’s rum and the brothers’ coffee first got together in the 1930s, with alterations later coming from chemist Montalvo Lara. The original recipe contains sugar cane rum, arabica coffee, vanilla bean, and caramel. Over the years, other flavors have been added to create new iterations, including hazelnut, cinnamon spice, French vanilla, and peppermint mocha. It takes a whopping seven years to produce Kahlua, from growing the coffee and drying the beans to finally distilling the rum and blending it with the coffee. The result is an alcohol volume of 20 percent, making it less potent than rum by itself, but the perfect after-dinner drink. According to legend, the well-known Black Russian was first invented in 1948 by Hotel Metropoles bartender Gustave Tops. He’s said to have created the drink in honor of Perle Mesta, an American socialite, political hostess, and the US Ambassador to Luxembourg. Unlike most of us who host a party — running around like crazy, refilling drinks, and attempting to look like we’re enjoying ourselves while silently cursing the person who always spill wine on the couch — Mesta was famous for her ability to effortlessly throw an unforgettable fete. The bartender saw this skill as something worthy of being praised and decided to toast Ms. Mesta with an original cocktail: one part Kahlua and two parts vodka served over ice. While the recipe is certainly nothing complex, there’s something to be said for simplicity. Exactly who first added cream to a Black Russian to make it white is apparently lost to history, but it’s said to have occurred in Oakland, California around 1955. While the original recipe was likely equal parts vodka, Kahlua, and cream, the concoction favored by The Dude is two parts vodka, one part Kahlua, and one part cream. It’s a rich and velvety creation that goes down smooth — too smoothly, if you’re anything like The Dude. We definitely do not recommend attempting to keep up with the nine glasses he consumes during the course of the movie, though two or three are encouraged. While the White Russian is undoubtedly one of the most popular Kahlua-based cocktails, there are plenty more to be had, from classics like the B-52 and the Mudslide and to lesser-known recipes like The Revolver. There’s also a long list of tasty Kahlua shooters that can be made in mere seconds with three ingredients or less. But perhaps one our favorite Kahlua-based recipes is the Kahlua Sour. Add two-and-a-half ounces Kahlua, one ounce lemon juice, a half ounce simple syrup, and an egg white into a cocktail shaker. Shake for about 10 seconds, add ice, shake again, and then strain into a rocks glass filled with fresh ice. The combination of coffee liqueur and lemon is certainly unexpected (we might even say bizarre), yet somehow the recipe just works. Aside from cocktails, spirits are often used in baking, and Kahlua’s rich coffee-tinged taste makes it a natural addition to cookies, brownies, and cakes. One of the more unique and delicious ways we’ve seen it used in food is in this recipe for Crisp Chocolate Marshmallow Squares. Quite literally Rice Krispies treats covered in Kahlua-spiked ganache, these bad boys make regular marshmallow squares pale in comparison. If you want to drink your dessert, there are plenty of Kahlua milkshakes to make as well. 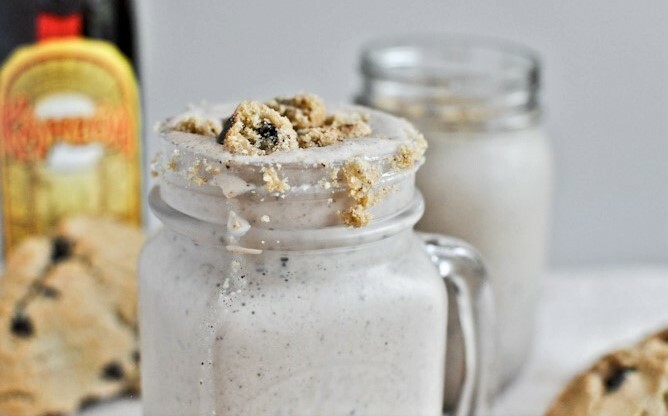 If you’re going to do it, you might as well do it big with a concoction like this one that includes coffee ice cream, Kahlua, and chocolate chip cookies. Just keep this one away from the kids. Believe it or not, Kahlua isn’t the only coffee-flavored liquor, though it’s arguably the one with the most name-recognition. Tia Maria is a slightly sweeter option that’s been around since the 1950s. Patrón XO Cafe changes things up with a tequila base, but is drier and less sweet than Tia Maria. It also packs a more serious punch with 35-percent alcohol by volume compared to Kahlua’s 20 and Tia Maria’s 27. Even Starbucks joined in on the game when it released its own coffee liqueur in the mid-2000s — a venture that has since been discontinued. In addition to the big-name companies, there are also a few smaller, craft distilleries playing with coffee and spirits. Portland-based New Deal Distillery partnered with one of the city’s foremost coffee makers, Water Avenue, to create New Deal Coffee Liqueur. As you’d expect with something from Portland, the coffee was extracted via the cold-brew method. This makes for a less acidic brew when it comes to a cup of joe, and the same is true for the liqueur. Though it’s made with cane sugar and agave nectar, New Deal’s product isn’t overly sweet and works well both alone and in cocktails. There’s yet another option besides Kahlua, Tia Maria, and the like — your own homemade coffee liqueur. While it may take producers up to seven years to make a bottle of Kahlua, you can actually do it on your own in less than a month if you’re not growing and roasting your own beans. 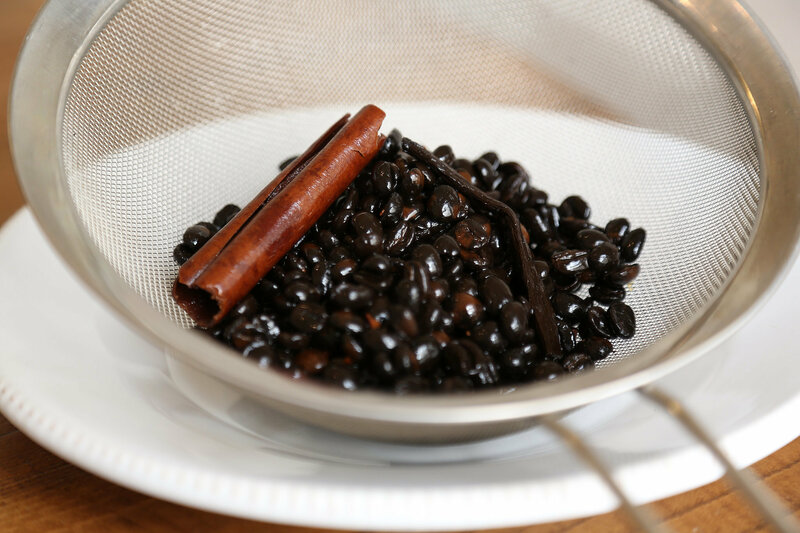 Just follow this simple recipe: Stir four cups of granulated sugar into two-and-a-half cups of hot, freshly brewed coffee until dissolved. (Pro tip: Make a few mugs of java in a Keurig using Kahlua’s very own coffee pods.) Add two-and-a-quarter cups of your preferred type of rum (you can also use vodka) and a whole vanilla bean. Seal the mixture in a tight container and store in a dark place for about three weeks. A basement or cellar is an ideal location. If you don’t have one of those, keep it in a closed box in a dark room. Strain the mixture and rebottle it before using. Like professional bartenders, you can also add a twist to your DIY creation. Scott Baird of San Francisco’s 15 Romolo offers up this recipe, which includes the typical ingredients plus vodka, cinnamon, cocoa nibs, and orange. Whether you keep it simple or get creative with the recipe, homemade coffee liqueur is a can’t-fail gift for family and friends.